This umbrella is great for those on a budget, great value for money and versatile. This budget golf umbrella will keep you dry and leave your wallet happy! Are you looking to buy a cheap umbrella? 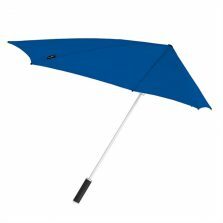 The royal blue Budget golf umbrella is a large full size royal blue golf umbrella. 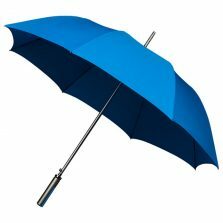 This umbrella is a low cost, basic manual opening, large blue and cheap umbrella. 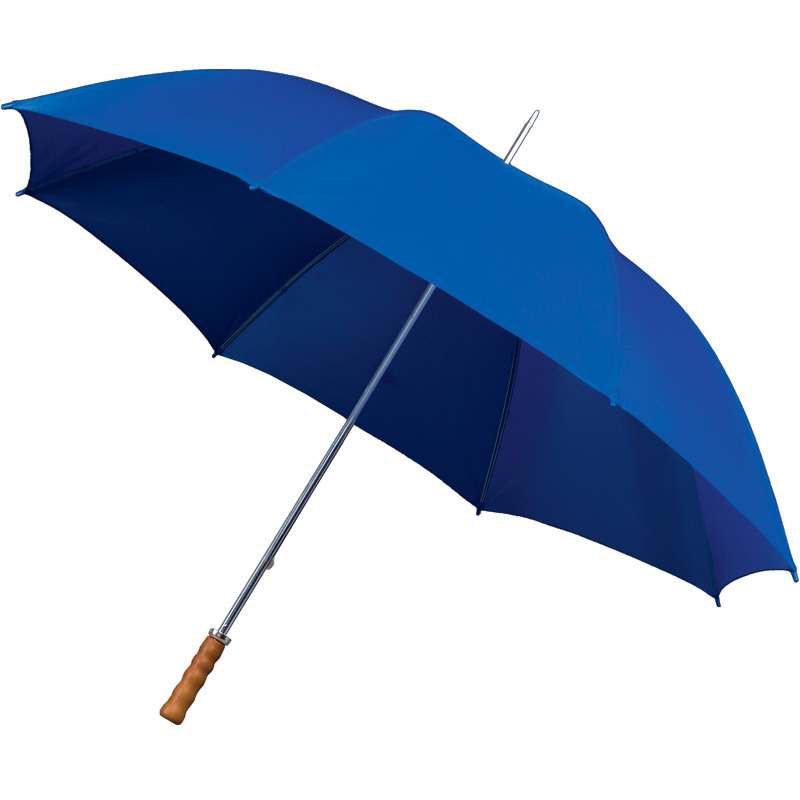 Offering outstanding value this best selling, economy priced royal blue, cheap umbrella has a varnished wooden handle. 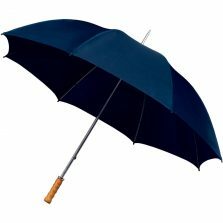 As well as this, this umbrella also features a 76 cm (approx 29.5 inches) twin ribbed steel frame. 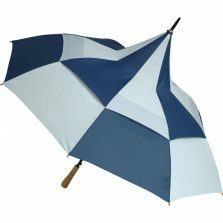 A full size royal blue golfing umbrella with a canopy span of 116 cm (approx 45.5 inches) and a length of 102 cm (approx 40 inches). 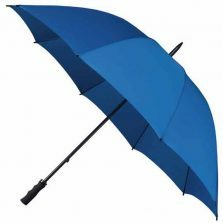 These royal blue Budget golfing umbrellas are one of many different colours offered in our range of Budget Golfing umbrellas. Also, these cheap basic golf umbrellas really are ideal as a promotional incentive – have your company logo screen printed onto one or more panels of any one of the 18 canopy colour options available. Looking for a quote for some cheap printed promotional golf umbrellas? Don’t hesitate to contact us – we’ll be glad to help. These cheap umbrellas are great for high volume purchases or when your budget is limited. Equally if you just want to buy one or two that’s also ok – but which colour to choose? Happy shopping. Please note – These umbrellas are not windproof. Not the right umbrella for you? Check out the rest of our golfing umbrellas!